Plans for an extensive reform of the housing redress system have been welcomed by RentalStep, but it says landlords need to be given plenty of time. The call comes after the recent announcement by Housing Secretary James Brokenshire, which outlined proposals to transform property redress. The Housing Complaints Resolution Service is at the heart of the reforms. Under the new rules, all private landlords will have to join a redress scheme, and those who fail to comply could face up to a £5,000 fine. A Redress Reform Working Group will discuss, revise and rework the proposed changes later this year, which will include representation from the government as well as existing redress schemes. 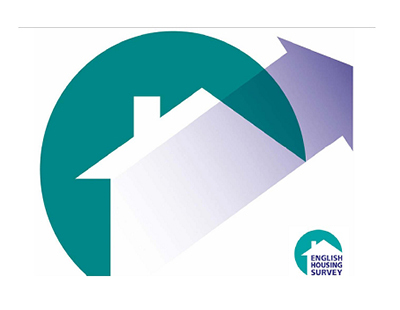 “While the planned reforms are a positive move – protecting tenants and giving them a fair right to redress – it’s also vital that landlords are given enough time to adjust to yet more changes and new regulation,” said Mike Georgeson, founder and chief executive of RentalStep. He said with landlords facing growing financial pressures, reducing costs where possible is a ‘wise and pragmatic move’. According to Georgeson, there are a number of ways in which landlords can reduce their costs. This includes embracing new and innovative tech platforms, moving away from traditional agencies, shopping around to find the best deals and products on the market, and comparing services to ensure the most reliable, productive and cost-efficient provider is chosen. Cost-cutting could also be achieved by reducing the financial outlay involved with property management, tenant referencing and advertising. Recently launched, RentalStep’s premium service includes a number of benefits, including unlimited full credit checks on all prospective tenants, handling of maintenance issues, rent collection, document storage, collection and registering of deposits, digital tenancy agreements and enhanced tenant referencing. The service also allows landlords to advertise their properties as many times as they want on Rightmove, Zoopla and PrimeLocation for just £35 per month. This enables their homes to be promoted to a wider audience for less than the typical management fees charged by letting agents. “We know how important advertising on the major portals is – with most tenants starting their property search on these platforms – so if this can be done at a low cost it enables landlords to make considerable savings,” said Georgeson. RentalStep launched in 2017 and is now used by over 9,000 tenants and more than 2,000 landlords.